son of the Shaikh of Qatar. Shaikh of Qatar. " K - P.
i. 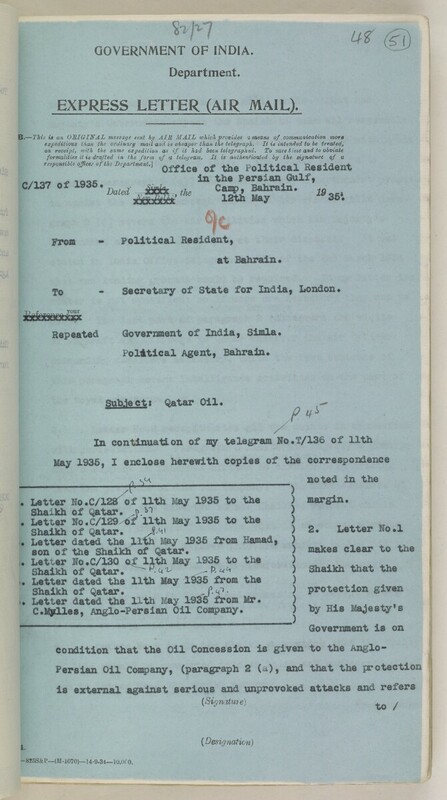 Letter dated the 11 th May 1936 from Mr.